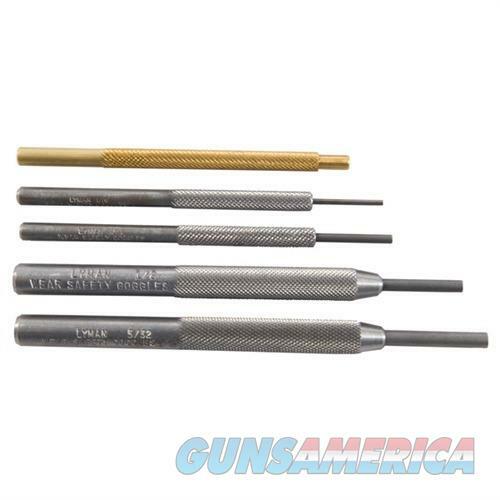 Five steel and brass gunsmith punches handle a variety of any pistol disassembly and reassembly jobs. Each precision-machined punch is through-hardened for maximum strength. Knurled handles ensure a firm grip to prevent slippage and protect your gun's finish from scratches and scuffs.